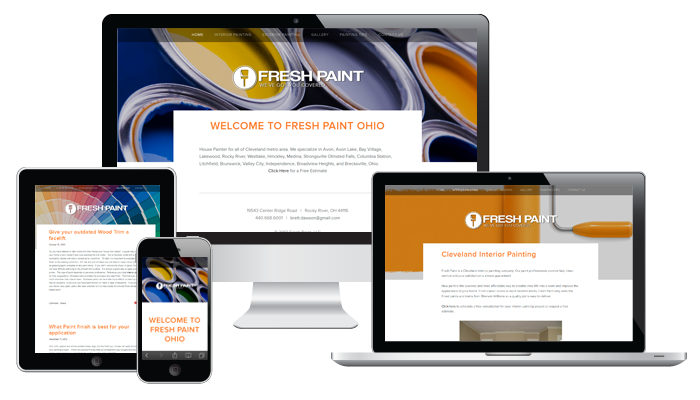 Fresh Paint Ohio is a brand new start-up in Northeast, Ohio and specialize in residential and commercial painting. Fresh Paint contacted us for a full brand-development package including logo design, business cards, content marketing and a response website. We can speak to their quality of work as we had them paint our 529:West office. Great job Brett and Robert!